I felt honoured when I was asked to create a website for the Kids Helping Kids Foundation. The Kids Helping Kids Foundation is empowering youth to initiate fundraisers to benefit other children’s charities. 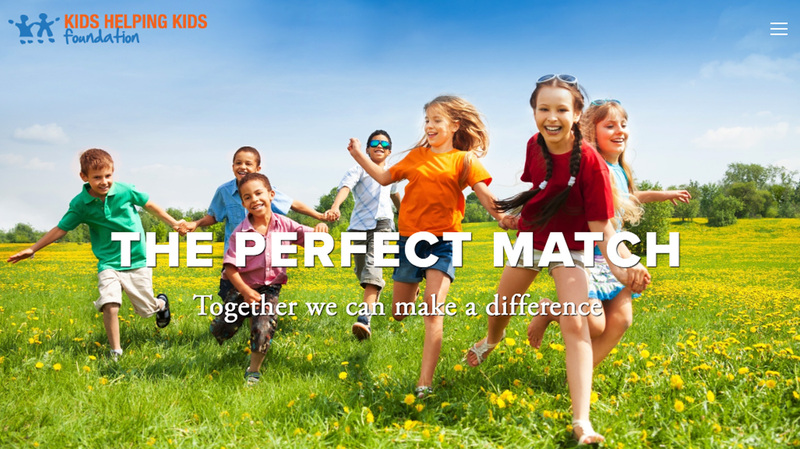 The Kids Helping Kids Foundation then will match the dollars they raise. The goal of the website was to guide children through the process of creating a fundraiser. The question to ask: What type of design speaks to children (from elementary to high school) and donors? The website needed to be engaging and motivating. I chose bright and colourful header images, but kept the layout clean with lots of white space to avoid distraction. Along with an About and Projects page, the site is split into two sections: a Kids Centre and Donor Centre, with a call to action button in the top navigation. The user is easily guided through the website based on what they are looking for. © 2018 by Brinart Design. All rights reserved.